With students back in school, many teens will be eager to hit the road for the first time. Driving is one of the greatest rites of passage for teenagers in America, and there is nothing more exciting than the freedom and independence that a car can provide for young drivers. Driving laws in Kansas have changed significantly over the past several years, and it is important to understand the specifics. Teens are first eligible to start driving at the age of 14 with a Learner’s Permit. With parental consent, 14 year olds can apply for an instructional permit at a local DMV office. Teens will be expected to provide proof of identity, proof of Kansas residency, and $31 in fees for licensing, photos, and testing materials. New drivers will also be expected to pass a written test created by the DMV, and a vision test. The written examination can be waived with documentation of completion of a state-approved driver’s education course. Upon successful completion of these tests, teens will obtain their Learner’s Permit. This allows teens to drive only if they are accompanied in the front seat by a licensed driver that is at least 21 years old. Only the supervising driver may be in the front seat, and use of electronics while driving is prohibited except in cases of emergency. After logging at least 25 hours of driving experience with a Learner’s Permit, teens that are at least 15 years old may apply for a Provisional License. In order to obtain a provisional license, students must provide proof of a state-approved driver’s education course. Also, one must provide an Affidavit logging 25 hours of driving experience. Furthermore, the same vision tests, identification, and fees will be required at the time of application. With a Provisional License, teens can begin to drive without supervision. However, unsupervised driving is only permitted over the most direct and accessible route between home and school for the purpose of attendance, and to and from or in connection with any job, school, or farm-related work. With a Provisional License teens may drive at any time with the supervision of a licensed 21 year old adult. No non-sibling passengers are permitted, and the use of electronics is still prohibited except in the case of emergencies. When teens turn 16 years old, they face fewer restrictions if they have successfully logged an additional 25 hours of driving. It is important to note that 10 of these hours must be conducted at night. If these steps are successfully completed, teens may now drive without supervision anywhere between the hours of 5 a.m. and 9 p.m., and to and from a religious worship service held by a religious organization. One non-sibling passenger is now allowed, but the use of electronics is still prohibited. Teens are still permitted to drive to and from work, school, and farm related purposes, and they may still drive at any time with proper supervision. At the age of 17, teens are allowed to apply for and unrestricted Driver’s License. By passing a vision test and driving test, teens will be allowed to drive without restriction. Proper documentation and fees will be collected upon application. It is very exciting as many students will be driving to school for the first time this year. It is important to notify your insurance agent about new drivers on your policy. 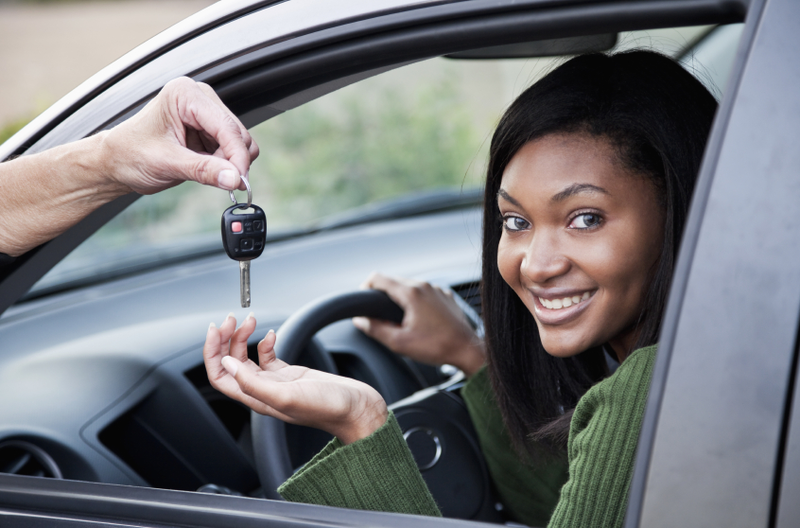 Furthermore, make sure that you carry the correct insurance liability limits for teen drivers. Even the most diligent teen drivers can lack experience, and teens are at higher risk for serious accidents. Not only does this create a physical risk, but also a financial risk for families. This is especially true if parents/guardians are listed on the titles of vehicles operated by teen drivers. We encourage you to contact our agents for any questions regarding new drivers in your family. Safe travels! Want more information? Visit the Kansas DMV website for more details about teen driving laws, and information about Farm Permits, Teen Motorcycles Licenses and more! A1 Insurance is an excellent resource when searching for car insurance in Kansas City or the surrounding areas. Call 816-363-2265 to speak to one of our experienced, authorized agents Monday through Friday from 9 a.m. to 6 p.m. or click on Car Insurance Kansas City for an instant rate quote from top companies in your area. With competitive programs for car insurance in Kansas City A1 Insurance is a leading independent agency. Our agents are authorized to do business in Missouri and Kansas, with an extensive referral network operating in the remaining states. Why Is Auto Insurance In Kansas City So Important? Kansas City Auto Insurance Policies Can Be Confusing, How Much Coverage Is Enough? We Can Help You When You Need Car Insurance in Kansas City! At A1 Insurance we can help you navigate the complexities of Insurance! Give us a call at 816-363-2265 to speak with a licensed agent. Or you can receive online quotes 24 hours per day and you click on Auto Insurance Kansas City. Thinking about renting rooms or your entire home as a way to earn some extra money? Online services, such as Airbnb and HomeAway, make it easy and enticing to list your property and fill it with paying guests regularly or occasionally. Most such rentals go off without a hitch. But occasionally things can go awry. Last spring, a couple in Calgary, Canada, who rented their home to four Airbnb guests, came home to find wrecked furniture and trash from a wild party strewn everywhere. Damage was estimated at $100,000, according to news reports. Before you sign up, understand three things about home insurance policies that can impact your risk when renting your living space to travelers, even short-term. Be sure to address these items when buying homeowners insurance. 1. Rental length. Don’t assume your homeowners insurance will pay for damage to or loss of your home and property if the incident occurs when paying guests are staying at your property. “Homeowner insurance policies vary by insurance carrier and state,” says Burl Daniel, an insurance expert witness based in Fort Worth, Texas. “You may be covered if your rental is a one-time thing, and not for too long,” says Dave Phillips, spokesman for State Farm. You should be fine if you live near a big event like the Super Bowl and want to share your home, says Phillips. “But if you want to make this a full- or nearly full-time gig, your State Farm homeowners policy will not provide coverage.” That’s true of most carriers as well. Many carriers that provide coverage for short-term stays limit them to up to four weeks, according to Nolo.com. 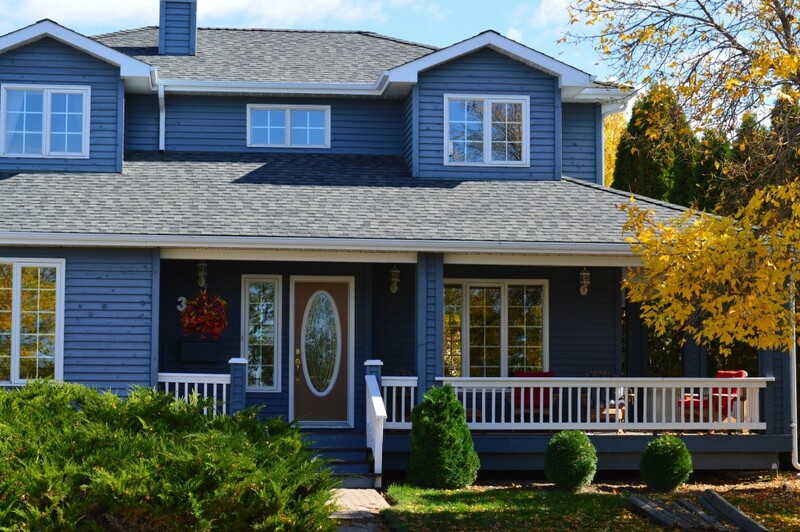 Read your homeowner’s policy carefully before you sign up to share your home. Some polices covering short-term rentals require advance notification. 2. Homeowner liability. In addition to property damage, review your liability coverage–what if a renter gets hurt? If paying guests blame you for their injury–such as complaining they tripped over wires in your hallway–and file a suit, your carrier could say you don’t have liability coverage. “If you don’t have liability coverage, you could end up paying not only the guests’ medical expenses, but also the cost to defend yourself and any liability damages awarded in court,” Daniel explains. Umbrella insurance may be necessary to cover liability claims. 3. Home-based business. “Among the reasons your carrier may deny coverage: homeowners insurance is based on the risk factors for an owner-occupant. Insurance companies believe there is less risk when the property is owner-occupied than there is with even incidental ‘hotel’ occupancies,” Daniel says. “If you frequently rent out your home (or rooms) to paying guests, your insurance carrier may claim that you are operating a business — a hotel or bed-and-breakfast. If your policy is for a home, not a business, it could exclude any problems your ‘business’ guests cause or damage they do to your house or its contents,” according to Daniel. Most homeowner insurance applications specifically ask the number of weeks you rent your place. If you misrepresent your answers, you can potentially void some (or all) coverages under the policy. “If the occupancy/rental status changes from when you first applied for your homeowners policy, discuss your options with your insurance agent or carrier,” Daniel suggests. State Farm provides liability coverage when the policyholder shares his home or apartment with up to two roomers or boarders, but that’s not the same as renting to different guests throughout the year, Phillips notes. “Some cities require short-term rental property owners to obtain a business license,” advises Penny Gusner, Consumer Analyst at Insure.com. “If you plan to rent your home on a regular basis, look into a home business policy.” Begin by asking your current insurer if this coverage is available, then shop around to compare quotes on home business insurance. Airbnb includes “Host Protection” insurance at no extra cost, says spokesman Nick Shapiro. This insurance is now considered “primary coverage” for hosts. Host Protection provides up to $1 million for accidents, such as a guest slipping on a rug and breaking an arm or getting injured while on a treadmill in your building’s gym. It does not cover injuries caused by intentional acts or some property issues, including mold and bedbugs. The protection excludes claims for jewelry, rare artwork, and collectibles in your home. HomeAway offers its hosts damage protection insurance up to $5,000, but for a fee. It starts at $59 for up to $1,500 of coverage and has no deductible. If you’re getting into room sharing frequently or full-time, consider buying additional insurance to protect you and your property. When it comes to buying insurance for renting your place, you have options. For example SafelyStay, based in Atlanta, covers up to $1 million of liability and damage to properties in the United States, with Western Europe launching shortly, according to spokesman Andrew Bate. The policy is priced “per-night” and is for a minimum of three nights. CBIZ in Bozeman, Montana, offers insurance to cover short-term vacation rentals. You also can ask your insurance agent about what options your carrier might have for you when renting your home to travelers. Before Michelle Dinsmore listed her two-bedroom home in Petersburg, New York, on Airbnb, she bought additional insurance to cover the rentals. Guests have caused some minor damage — one guest “entirely smushed” her new, large ottoman and another broke a glass shelf. But in both cases the guests confessed and paid for repairs. “I have not had to call my insurance agent,” she reports. Dinsmore says she decided to buy additional coverage even though she believes Airbnb has her back. Since January is National Glaucoma month, we thought we would talk a little about the disease and how treatment can help drivers. Overall, an astounding 3 million people in the United States have glaucoma. The National Eye Institute projects this number will reach 4.2 million by 2030, a 58 percent increase. There is no cure for glaucoma—yet. However, medication or surgery can slow or prevent further vision loss. The appropriate treatment depends upon the type of glaucoma among other factors. Early detection is vital to stopping the progress of the disease. Watch a video from the research scientists working to find a cure. Secondary glaucoma refers to any case in which another disease causes or contributes to increased eye pressure, resulting in optic nerve damage and vision loss. 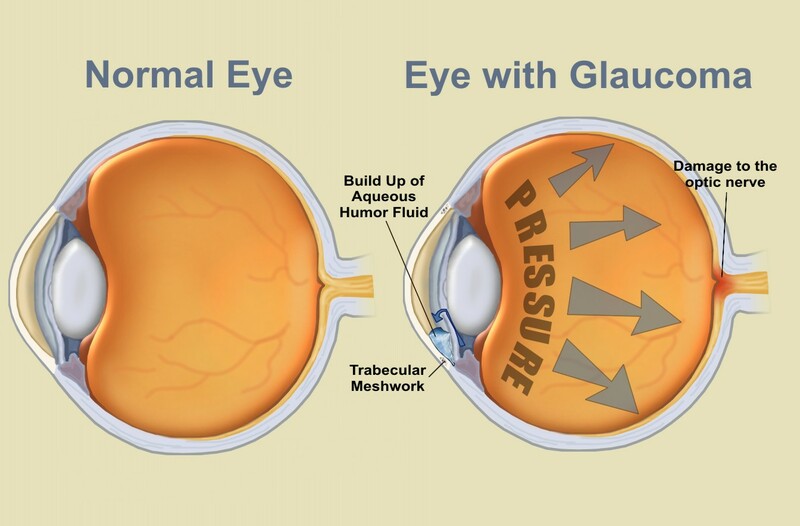 Read more about Types of Glaucoma. Glaucoma is the leading cause of blindness among African-Americans. And among Hispanics in older age groups, the risk of glaucoma is nearly as high as that for African-Americans. Also, siblings of persons diagnosed with glaucoma have a significantly increased risk of having glaucoma. Read about diagnostic glaucoma tests.